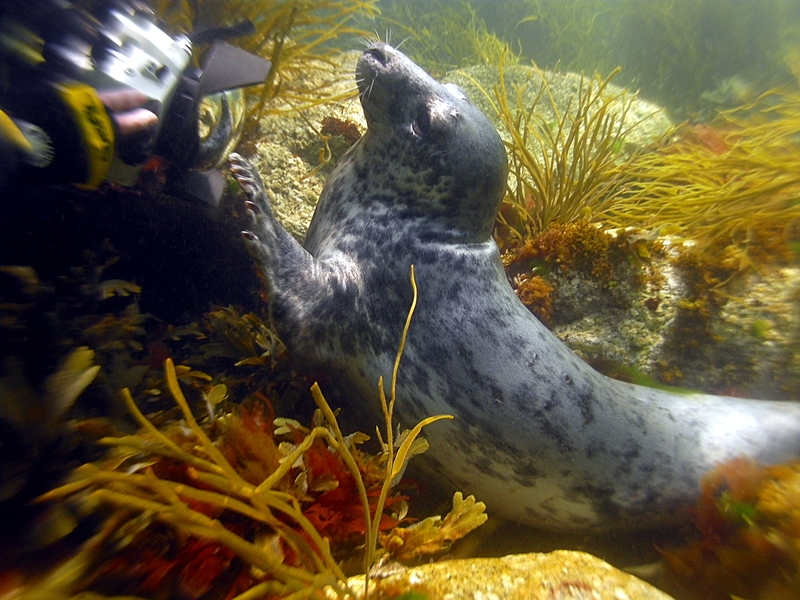 Around Falmouth we have a colony of Atlantic Grey Seals. The resident adults can be found on Black Rock at low tide, at high tide they are around the bay feeding. There is also a haul out beach, where the seals haul out at low tide. We have seen up to 17 seals at one time, on the beach and in the water. We have seen them in the water but they are never guaranteed. We do often see them from the boat, at all states of tide but again, as with all wildlife, nothing is guaranteed.